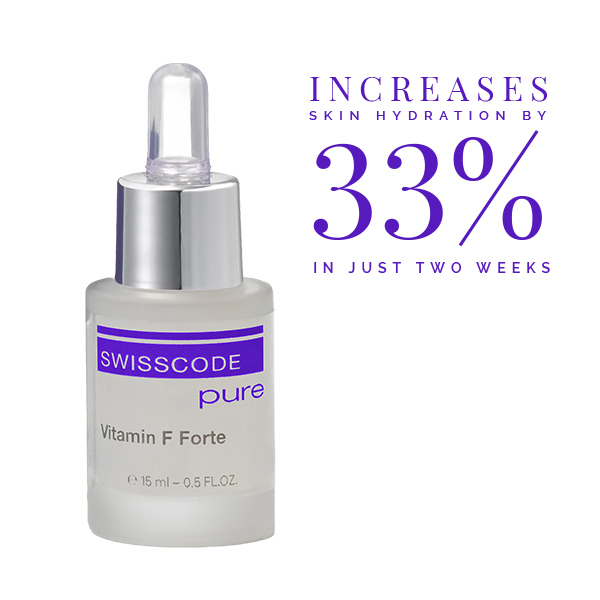 SWISSCODE Pure Vitamin F Forte provides an instant soothing and deeply moisturising effect for stressed and damaged skin. Essential skin lipids give immediate relief to dry and irritated skin whilst restoring natural calm. Specifically developed as a skin protector, its healing effects nurture compromised skin making it soft, comfortable and supple.